IOSi is a trusted provider of robust and resilient IT services throughout the construction industry. From site surveys and blueprints to architectural design and home building, IOSi offers rock-solid IT service models specifically tailored to your industry. We’ve partnered with technology vendors throughout the industry to provide you with a unique and streamlined approach to IT. 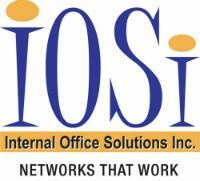 Allow IOSi to help build a strong foundation for your business and begin working smarter.